Ahlen, October 2016 – Today personal luxury is no longer just about ostentatious status symbols such as a fast car or an exclusive trip. The home is increasingly becoming a place where people enjoy the greatest luxury of all: time for themselves and their families. Time to do something good for themselves. In this situation, the bathroom has leapt up in status because there is no more intimate space within one’s own four walls. This makes the bathroom the ideal room for personal moments of luxury. The stage here is created by modern architecture and premium materials that lend a new sparkle and a new sense of value to everyday washing. The washbasin – which has to be the most frequently-used element in the bathroom – gets things off to a start. The models made of Kaldewei steel enamel are the perfect synthesis of design and material quality. When people are asked about their favourite luxury products, they first name an expensive car, a fine watch, or a big television. Although people have fewer inhibitions about investing in items such as these rather than classic items of furnishing, a distinct trend towards luxury in the home is discernible. Because everybody benefits from a touch more luxury in the home – after all, we use certain things such as the bed, kitchen or bathroom every day. It is the bathroom, above all other rooms, that is increasingly being transformed into a sanctuary for the personal enjoyment of luxury. For many people, personal luxury means setting oneself apart from the crowd, and being able to enjoy something truly special. It’s even better if that personal luxury becomes a natural part of everyday life. With the new washbasins made of Kaldewei steel enamel, luxury now becomes the new standard in the bathroom too. Because it brings with it a completely new and unique sense of value. 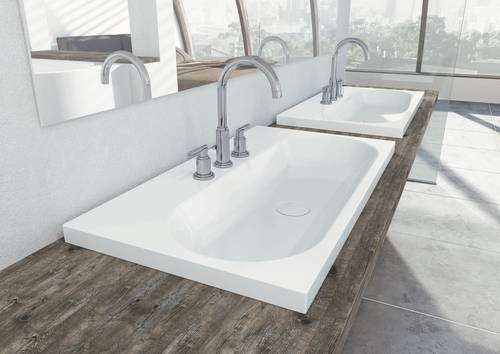 Compared with those from conventional providers, the premium manufacturer’s washbasins are the leaders in terms of design and material quality. In addition, Kaldewei offers a 30-year warranty – a length of time that car or kitchen buyers can only dream of. Making a change doesn’t have to break the bank. Often enough, small tweaks are enough to give the whole thing an entirely new value. For example, if a bathroom is intended to give us more time and space for private moments of luxury, we recommend the new washbasins made of Kaldewei steel enamel. Because not only is their exclusive design vocabulary persuasive, but they are also of exceptional quality, easy to maintain and long-lasting. After all, the washbasin is the most frequently used part of the bathroom. With its five superior steel enamel award-winning washbasin lines, the premium manufacturer Kaldewei guarantees maximum individuality for bathroom fit-outs. Because each model family possesses its own modern and distinctive design features, these washbasins can be coordinated with a bathtub or enamelled shower surface to produce a harmonious ensemble or, alternatively, they can be installed on a stand-alone basis in the bathroom for striking impact. Architects and designers, for instance, use the Meisterstück Emerso to create a special highlight in the bathroom. Inspired by the sea, the internationally renowned designer Arik Levy dreamt up an exquisite freestanding and luxurious washbasin for Kaldewei. 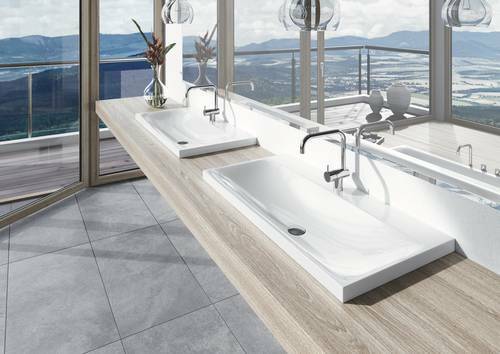 In the Meisterstück Levy unites purist elegance with flowing lines, thus creating an icon of bathroom design. Be it a freestanding or built-in model, with a minimum of effort, installing a Kaldewei washbasin made of superior steel enamel will lend any bathroom a touch of special and lasting luxury, that can be enjoyed time and time again every day. 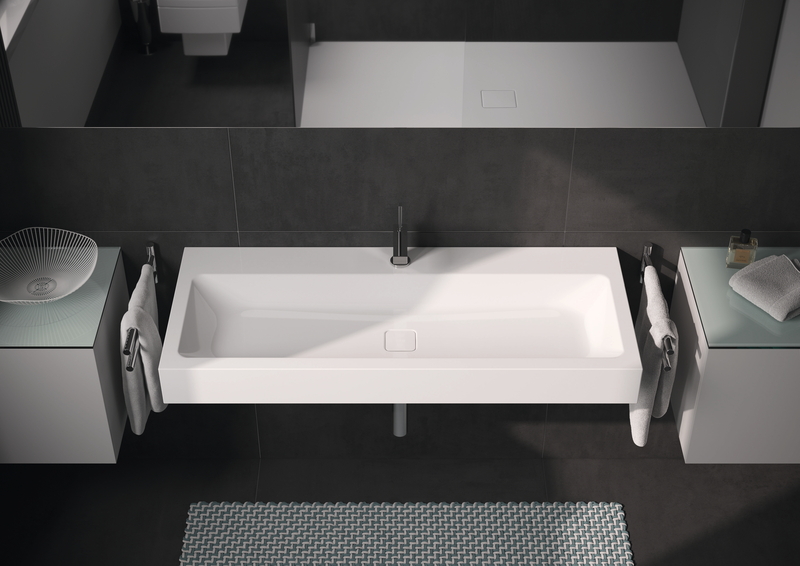 The Kaldewei Meisterstück Emerso by renowned designer Arik Levy stands for the new luxury in the bathroom. With this freestanding washbasin, Levy combines purist elegance with flowing lines, lending the washbasin its unique design. With the new washbasins made of superior Kaldewei steel enamel, luxury in the bathroom becomes part of everyday life. The Cono washbasin features captivatingly clean lines. The washbasin’s stark geometry is accentuated by the square enamelled waste cover. The Silenio washbasin, designed for Kaldewei by Anke Salomon, is distinguished by its sensual, modern lines. Like a falling flow of fabric that forms a hollow, the interior of the Silenio washbasin slopes gently inwards. The Silenio washbasins lend any bathroom a touch of special and lasting luxury that can be enjoyed time and time again every day. The interior of the Centro washbasin picks up on the geometry of the circle. Apart from the round enamelled waste cover, another appealing feature is the large surround. 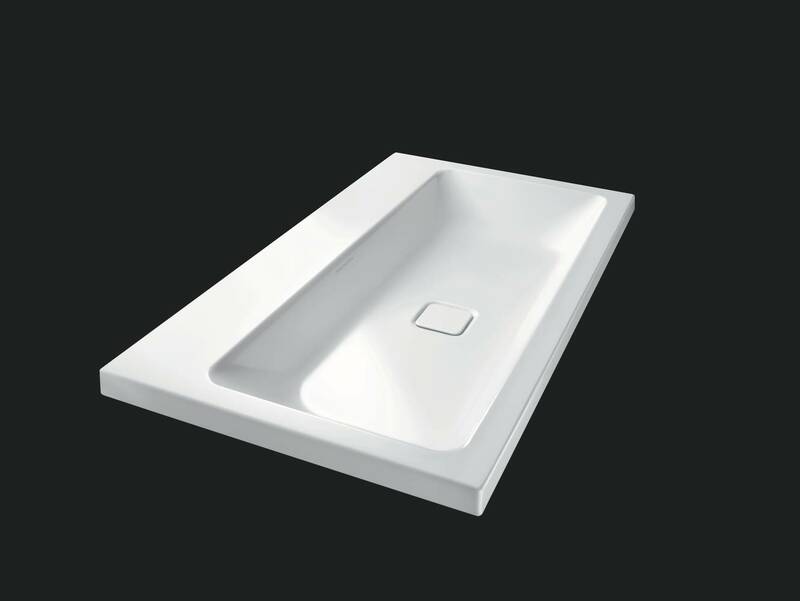 All washbasins made of Kaldewei steel enamel feature an easy-clean finish as standard. When luxury becomes the new standard: with washbasins made of Kaldewei steel enamel, a completely new and unique sense of value gains entry to the bathroom. Because not only is their exclusive design vocabulary persuasive, but they are also of exceptional quality, easy to maintain and long-lasting. After all, the washbasin is the most frequently used part of the bathroom.